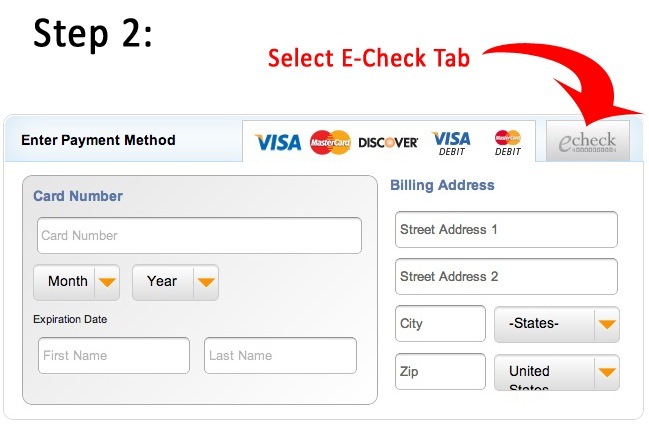 How do I make an E-Check payment? Do we have a parking spot? Who supplies linens and what are your other amenities? You can book your vacation rental easily and securely online 24 hours a day, 7 days a week through our online booking tool. Simply put your dates in the calendar view your rental and follow the prompts. We also have reservationists that are available Monday - Saturday, 9:00am - 8:00pm PST through our reservation line: 949-673-3770. We require a deposit of 50% of your total rental price for all reservations. This deposit it due within 5 days of booking and can be paid online by credit card by reserving through the calendar. Simply put in your dates, choose your rental, and follow the prompts for secure online booking. There is a small credit card processing fee of 0.0239 (0.0389 for foreign credit card). or electronic check (NO FEE) by phoning a reservationist . 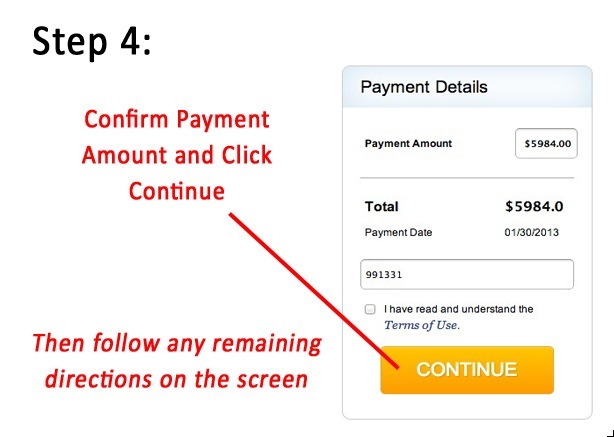 Final payment is due 30 days prior to your arrival. Reservations made within 30 days of arrival must be paid in full at the time of booking. A charge of $35 will be applied to any returned checks or electronic checks. 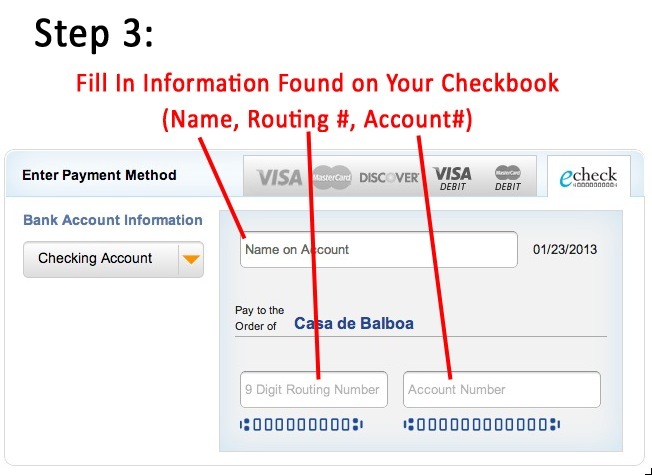 Please make certain to use exact account name from you rbank statement, routing number, and account number when paying. Yes. You are required to pay a $45 damage protection fee that provides damage insurance up to $1500.00 of accidental damage or you can provide a $750 refundable security deposit if you would like to provide a refundable security deposit instead of the damage protection fee. 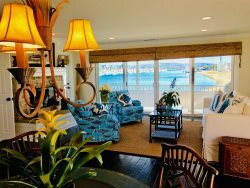 A security deposit is refundable and will be distributed back to you within 21 days of your departure, contingent there is no accidental damage caused by you or your guests during your stay. We kindly ask that any damage caused by you or your guests is promptly reported to Casa de Balboa. All damages and estimates will be evaluated by Casa de Balboa and deducted from your refundable security deposit if deemed necessary for repairs or replacement purchases. Yes. For your convenience travel Insurance is provided to you through our partner, CSA Travel Protection. You can choose to purchase travel insurance when booking online or let our reservationist know when booking over the phone. The plan includes coverage and benefits for trip cancelation and interruption, trip delay, baggage delay, loss, theft and damage of baggage and personal effects -- including provisions for sporting equipment – medical and dental expenses, emergency medical transportation, rental car damage and travel accidents. For added confidence, pre-existing medical conditions are accepted up to final payment. As an added selling point, concierge, 24-hour emergency assistance, and identity theft resolution services are included. Identity theft resolution services are available to you for six months from date of scheduled departure, another example of CSA’s signature before, during and after vacation value. This standard travel insurance package is provided at a rate of 6.95% of your total reservation. If you would like additional travel protection coverage please inquire. No refunds will be given for cancellation or interruption due to weather. Travel insurance is available for an additional fee. For more information please see the above question and answer regarding Traveler Protection Insurance. CHECK-IN time is 3:00 PM on the day of your arrival. Please understand that we have a limited amount of time to get your Casa in pristine condition for you, after previous guests depart, so it is difficult to offer earlier check-ins. Please inquire the day before check-in to see if we can accommodate an early check-in. CHECK-OUT time is 10:00 AM and we kindly ask guests to make sure they depart BY this time. Additional costs may be incurred if a guest does not depart by this time, without prior consent by Casa de Balboa. Yes. Provided with each vacation rental is a private garage that accommodates a single vehicle. Please note this garage can accommodate most vehicles with the exception of extra large SUV's (i.e. Navigators, Hummers, Expeditions, etc..). We suggest you unload and fold in mirrors before entering the garage. Parking is also available on the street in "pay station" areas and non "pay station" areas (FREE). In addition there is a non metered/non pay station space in front of Casa 227. Meters run from 8:00 AM - 6:00 PM daily and must be maintained or a citation may occur from the local parking authority. Is there a charge for lost keys? You will be provided with TWO keys and ONE garage door remote to your rental property. A re-key charge will be collected for lost or unreturned keys and deducted from your refundable security deposit. All Casa's (except 231) are equipped with cordless telephones and are available for you to make local phone calls. Any long distance phone calls must be made with a calling card. All Casa's are cleaned prior to your arrival and after your departure. Mid-stay cleaning service is available upon request at an additional charge. Personal items such as shampoo and food and beverage. Yes grilling is allowed outside on your Weber grill. All grills are natural gas with the exception of 227 which is propane. You may need to do an exchange of your tank for a full tank at the local Pavilions food market. Please clean up after your use, check and replace foil liners in drip areas to prevent flare ups, and never leave grill unattended. We allow some breeds of dogs and require an additional pet charge of $150/wk. Please call our reservationist to see if your dog will be allowed. Generally speaking we accept most breeds of small to medium sized WELL BEHAVED dogs. It is the owners responsibility to clean up after your pet in and around your Casa making sure to properly dispose of all waste. Please hose any areas your dog may soil as the acid from urine can stain the pavers. You must also ensure that your pet maintains a calm sound level and is not intrusive to other guest vacations. We do not allow cats under any circumstances. If a pet is found in your Casa during your stay without prior consent by Casa de Balboa, we reserve the right to cancel your reservation, forfeiting your deposit and occupancy. Construction can happen anywhere in the city at any given time. Our reservation agents are not expected to be aware of construction, repairs, and remodeling projects that could occur nearby. We make EVERY EFFORT to identify time frames that construction could occur nearby and notify our guests accordingly (When we know you will know). Some construction or repairs may occur without much notice or no notice given to us. Timelines for construction can be delayed or moved. Should you find yourself near construction please exercise patience and understanding. In the event there is construction nearby that becomes intolerable, we'll do our best to talk to the contractors and alleviate your concerns, but no refunds will be made. Currently we are unaware of any construction close by. We removed landline phones due to lack of use and the fact that virtually everyone uses only their cell phones. We often found the phones unplugged. Smoking indoors is prohibited. You may smoke on your deck or patio but we kindly ask that you be a good neighbor and be mindful of where your smoke travels. Please be considerate for our non-smoking guests. Please do not use any candles or other decorative items to dispose of cigarettes. All damages to furniture caused as a result of smoking will be deducted from your refundable security deposit. Please do not toss butts or ashes in the road or down below.